Apple has a couple emojis inspired by the late singer David Bowie in its latest iOS 10.2 beta, according to a new report from The Sun. The two new emojis will fall under the singer category of symbols, which is one of the 16 new professions to be added to the emoji section of Apple’s keyboard. 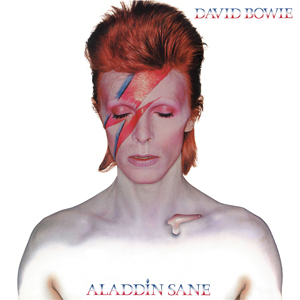 The characters resemble the legendary artwork for Bowie’s 1973 album Aladdin Sane. 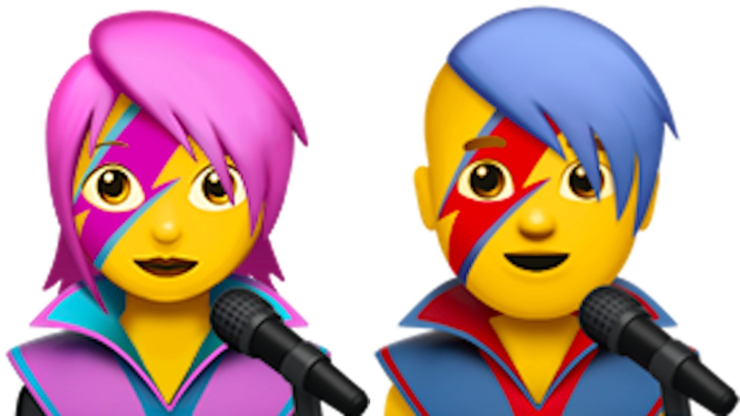 The female emoji has a purple lightning bolt across one eye and pink hair to match, while the male has a Ziggy Stardust-esque red lightning bolt and bright blue hair. Both have microphones in front of their faces as if they’re about to burst into “Under Pressure”. The Bowie emojis will act as a template for various emotions, with users able to make them shrug their shoulders, cross their fingers, and even do a face palm. Other new emojis to be made available by the update include new foods, such as an avocado and a croissant. A moose and a gorilla (#harambe), among others, will also be added to the animal category. The 16 new professional emojis include firefighters, astronauts, farmers, chefs and teachers. These are the new emojis from Unicode 9.0. The emoji in the upcoming iOS update is the latest in a long line of tributes to the great performer and entertainer David Bowie, whose death in January shocked and saddened the world.